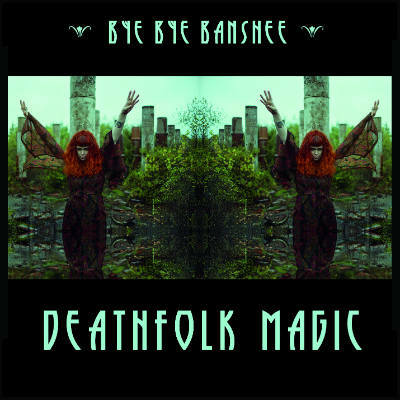 Don’t be fooled by the title of Bye Bye Banshee’s new EP, Deathfolk Magic. There’s nothing horrifying about this recording. It’s actually quite beautiful and cerebral. It’s pleasant pacing and calm demeanor are accentuated by the sparse yet enchanting vocals of songwriter, Jezebel Jones. These peacefully poignant songs approach the subject of death abstractly with a kind of minimalist, meditative mindfulness. My favorite song on this release is Skull Rattles which contains the artists premonitionary declaration upon death that “graymatter don’t matter no more” and was simply “a temporary condition.” Intellectually I find this album to be pretty engaging, and musically I found myself entranced by it. This is neo-folk music at its finest.